Since the first class began in 1939, The Florida Highway Patrol Training Academy has had a long-standing tradition of transforming men and women into the State Troopers you see patrolling Florida’s roadways. For 28 weeks, recruits undergo an intensive training regimen designed to be both mentally and physically tough. The military-style training prepares FHP recruits for the many challenges they will face in their new career and helps to strengthen both the body and the mind. Recruits participate in both classroom and hands-on learning in a variety of topics, including legal issues, interpersonal communications, crime scene and criminal investigations, DUI and crash investigations and traffic stops. They also endure 6 weeks of rigorous training in the high liability areas of firearms, defensive tactics, first aid and vehicle operations. 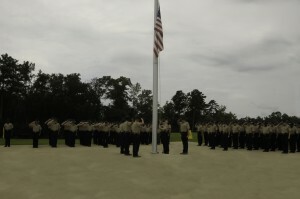 Recruits are required to reside on campus while stationed at the FHP academy. They are also required to follow strict rules and protocols and remain on Academy grounds during the work week, but are released on most weekends. 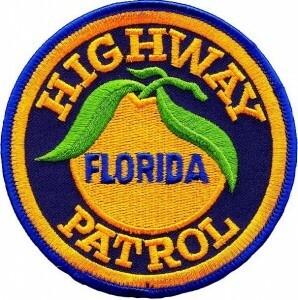 Florida Highway Patrol recruits are full-time employees, which means they start earning a salary and benefits the moment they arrive at the academy. Full room and board is provided for the duration of the training program. Training at the Florida Highway Patrol Academy is tough, and so is the job of a Florida State Trooper. If you believe you have what it takes and are up to the challenge of becoming a member of Florida’s Finest, apply today at www.beatrooper.com.